An organization cannot grow based on a vision. It grows when individuals, churches, schools, business, and civic organizations join up and volunteer, contribute their time, talent, and investment in raising up those who need a hand… to make a fresh start… to reclaim their humanity following calamity… and to lift up youth who are eager to make a difference in their community. Organizations such as Weekend Survival Kits would not exist if it were not for the gracious support of partners like those highlighted on this page. We THANK our partners and are honored to stand with them in GIVING HOPE to HUNGRY KIDS. The Delta Dental national headquarters are located in Okemos, Michigan. As part of its community outreach Delta Dental is partnering with the Weekend Survival Kits program. Delta Dental is an extraordinary partner, underwriting specific schools with the greatest need. Acting responsibly and with integrity is nothing new to Jackson®. 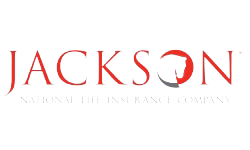 Jackson is committed to contributing to the social and economic well-being of the communities in which we are an employer. We also encourage our employees to participate in projects and initiatives that strengthen those communities. Gleaners is a recent addition as a partner. They help us acquire food work the weekend kits in the SE part of the state including Detroit and Livingston County. For 40 years, Gleaners Community Food Bank has been “feeding hungry people and nourishing our communities.” Weekend Survival Kits is honored to have Gleaners as a partner in SE Michigan. 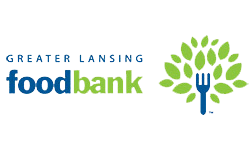 The Greater Lansing Food Bank delivers food purchased by the Weekend Survival Kits program on a regular basis. Through its efforts to gather food which we request for the programs at a favorable cost our commitment to quality content is sustained. Many of the participating school programs are in the GLFB service area. 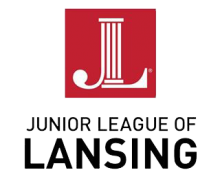 The Junior League of Lansing has chosen to be a partner by supporting one particular school. This is a school served by NorthWest Initiative, also a partner of Weekend Survival Kits, Choosing to underwrite the cost of a Lansing school is a big commitment, we are proud to have the members of Junior League of Lansing as partners. Northwest Initiative is all about creating healthy community, by focusing on neighborhoods and the people that live there. For over eight years NorthWest Initiative has partnered with Weekend Survival Kits, and is currently assisting by packing food kits for 10 Lansing schools, feeding over 1,250 school kids each weekend. 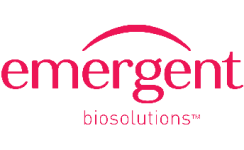 Emergent BioSolutions is another employer in the Greater Lansing area that practices great corporate responsibility. Emergent has chosen to support a particular school both with financial support to purchase food and volunteer employees who pack and deliver the food kits to their neighbor school. Weekend Survival Kits receives support from SodexoMagic particularly for our Lansing schools. Leader of SodexoMagic, Magic Johnson hasn’t forgotten his roots in this community. For over eight years his company has provided transportation of the food kits to the participating Lansing schools and on occasion has sourced food items for the kits. The Kiwanis Club of East Lansing is proud to be part of the Weekend Survival Kit team, delivering kits to many schools in the area. 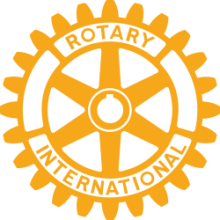 Kiwanis is a global organization of volunteers dedicated to changing the world one child and one community at a time. From the beginning, MSU Extension has played a role in the “backpack” program which was the precursor to what is now known as the Weekend Survival Kits program. MSU Extension’s mission includes a youth development component (the 4-H program) and community development. As one of the handful of organizations who made an early commitment to feeding hungry kids, MSU Extension lent expertise in both fund development and program logistics. MSU Extension continues to this day in partnering with Northwest Initiative for a focus on Lansing-based school children. Fund development and logistics are now coordinated by the team members of Weekend Survival Kits. Allegra is proud to serve the Okemos, Lansing and Flint areas, and we recognize that our business can only remain as strong as the communities we serve. We are committed to the health of our community and of the businesses and organizations that comprise it. Owner Dave Muhlek and his staff are long time supporters of Weekend Survival Kits. For over five years Doug and Alison Kahl have contributed personal funds to help cover the cost of food for five schools in their own community. In addition, they have secured funds from other sources such as local churches, friends, and business associates to help sustain a commitment to feed hungry kids in their community. Doug also serves as a Board Member for Weekend Survival Kits. They are true and faithful partners! 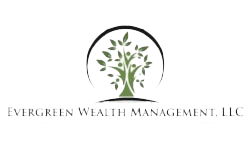 Evergreen Wealth Management, LLC is owned in part by Weekend Survival Kits’ Founder, Jeff Gorsline. Jeff and his Evergreen partners believe that living out their values and commitment to helping clients, extends to this mission of “Giving Hope to Hungry Kids.” Supporting children by eliminating barriers to their academic success is the ultimate investment in a brighter future.